Summary: In case you had any doubts about the good vs. evil, light vs. dark battle building in the series, Rowling fully embraces Harry's internal and external conflicts in this penultimate novel. What I Thought: Back at the start of 2014, I had grand illusions of Kevin and I finishing the Harry Potter series together in a year. If we finish book 7 by the end of this year, a mark double the length I had originally hoped for, I will be quite happy. Our slow pace has been due entirely to limited time spent in the car together and not at all lack of enjoyment of the books. Kevin really seems to be liking the series, a fact which thrills and slightly relieves me. After watching Harry work through all that teen angst in book 5, it is so refreshing to see a new maturity developing in book 6. It is clear that Sirius's death has sobered him and forced him to face the unpleasantness of Voldemort's return in new ways. Plus, you know, people believe him now, which helps. Just as Rowling draws a distinct line in the series with the Dark Lord's return at the end of book 4 separating Harry's childhood from his adolescence, so I think she does again with book 6. 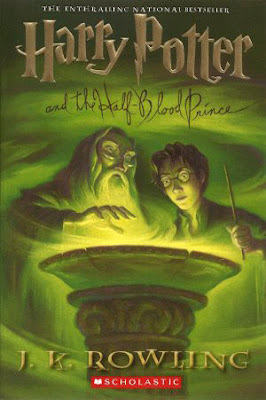 It is here that Harry Potter really begins his journey into adulthood. Summary: Detective Inspector Helen Grace finds herself facing a new difficult case. Someone is kidnapping pairs of people and leaving them trapped with nothing except a gun and one bullet. Release is only accessible by killing your fellow captive. What I Thought: NetGalley pulled me in on this one. They sent one of those enticing emails advertising a specific book - you know the kind I'm talking about, book bloggers - and I couldn't resist. I think this was finally the book that made me understand the relationship I am going to have with NetGalley. Every once in a while, I may find a gem. Most of the time, though, I need to take a step back and evaluate: am I really going to like this book? All that to say: Eeny Meeny did not turn out to be my cup of tea. Summary: Comedienne Mindy Kaling (you likely know her from her stints on The Office or The Mindy Project) offers a memoir about growing up, the road to a successful career, and her lack of success in love. What I Thought: Any time Kevin leans over in bed and says, "What's so funny over there?" or "What are you snickering at?" I know I am connecting with a book. I have, admittedly, a strange sense of humor. Maybe not strange so much as picky. I am very selective in what makes me laugh. Kevin takes immense pride any time he has me laughing out loud. He considers such an achievement to be a great success. He considers correctly. 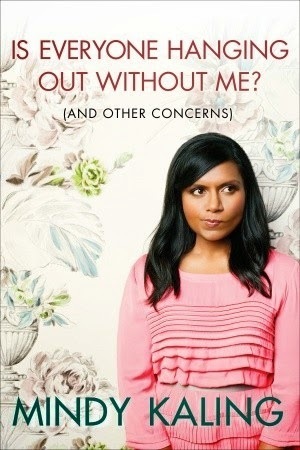 Mindy Kaling had me laughing. I even read a couple short passages aloud to Kevin. Her humor is pretty much what you would expect if you have ever watched either of her shows (we are big time Office fans, though we have yet to join The Mindy Project bandwagon). How I Found It: My mom told me about it, believe it or not! Summary: In an attempt to achieve cultural dominance, China has spent decades developing a fantastical zoo which they are about to open to the public. The press tour, of which scientist CJ and her photographer brother Hamish are a part, goes horribly wrong...Jurassic Park style. 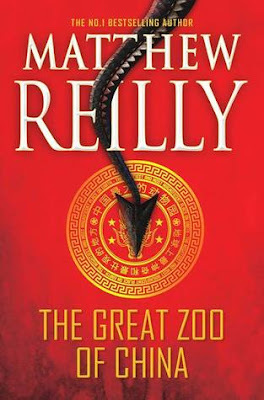 What I Thought: Despite what the author says in the interview printed at the back of the book, The Great Zoo of China bears a lot of resemblance to Michael Crichton's Jurassic Park. Sure, there are differences - dragons vs. dinosaurs, press tour vs. consultants, cultural investment vs. capitalist venture - but the bones are nearly identical. Yet, that is not all a complaint. Just because I am a raging, enthusiastic fan of Five Guys does not mean I cannot also enjoy Red Robin on occasion. Burgers are delicious and science fictional theme parks with mythical/ancient creatures make for a fun thrill. What's wrong with variations on a theme when the theme is a good one? 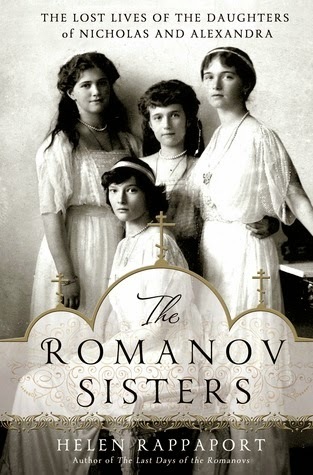 Summary: Packed with interesting information, this nonfiction tome delves into the short lives of Russia's last princesses. What I Thought: My royal obsession continues. Back in elementary school, I remember being entranced by the story of Anatasia and her doomed family. I checked out the same book from our local library over and over as if I expected it to reveal further secrets about the Romanovs with each successive perusal. I imagine this all stemmed from the foray 20th Century Fox took into animated features. The film Anastasia contains virtually no historically accurate content but does offer some great music. 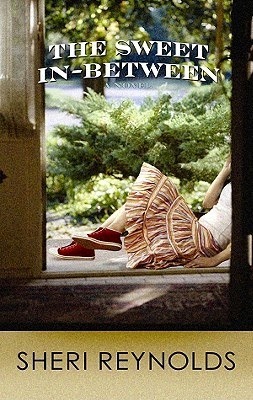 Summary: Mid-century runaway Boy, who happens to be a girl, leaves New York for a small town upstate. She becomes a new wife and stepmother to Snow. When she gives birth to her own daughter, Bird, a family secret is revealed. 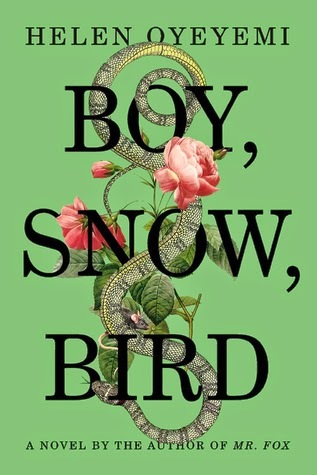 What I Thought: However I came across this book, and I cannot remember exactly how that was now, I was under the impression it was a reimagining of Snow White. And, in some subtle ways, I suppose it is. A few details from the fairy tale linger throughout, but the story itself holds little resemblance. I have to admit: I struggled through this book. I really wanted to love it. I wanted it to be magical and to sweep me up with rich storytelling and imaginative twists. The overall feeling I got, however, was that of being duped. The book simply was not what I was expecting. I hardly feel right "punishing" it for that, but I have never been a big fan of the bait and switch. 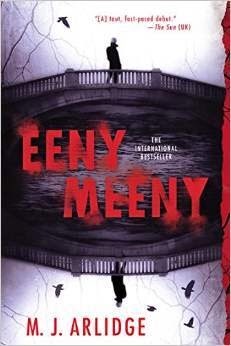 Of course, Oyeyemi was not even the one doing the baiting, so it seems unfair to her as well for me to dislike the book. And yet....I just did not like it. Summary: The post-Civil War era is often glossed over in history. Yet, for those living in it, it proved a time of uncertainty transitions and searching for the new social standards. P-V explores the lives of three such people, including their dabblings in the supernatural. What I Thought: I was so excited when TLC offered me the chance to review this book. I read Perkins-Valdez's first book, Wench, several years ago and enjoyed it. It opened my eyes to a part of Civil War history of which I had not been very aware to that point. The fact that the story took place in what was virtually my backyard at the time only made the book more engaging for me. 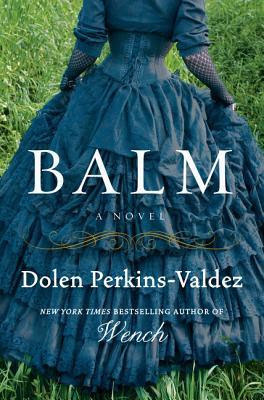 I went into Balm hoping for a similar experience: an interesting plot, complex characters, emotional moments, and historical education. Unfortunately, I struggled to find much of those qualities in this second novel. How I Found It: I love food memoirs! Summary: One of the very early incarnations of the celebrity chef, Jacques Pépin offers his life story in this far reaching memoir. He covers everything from his childhood in France, his apprenticeships in rigid French kitchens, his immigration to America, and his years at the top of the culinary scene. What I Thought: I have heard from many sources that Pépin's memoir is an important, memorable part of the food memoir canon. It is on every list of must read foodie books. Thus, I was harboring high expectations when I placed it On Reserve and, consequentially, finally picked it up this spring. I want to be clear up front - I liked this book. 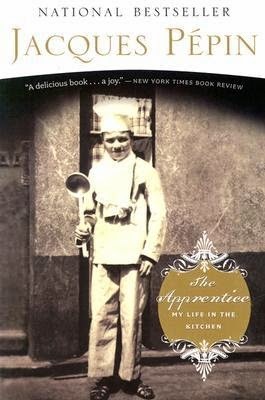 I simply devoured (pun intended) the early chapters about Pépin's years in France, both his memoires as a boy sent to the countryside during WWII and his early apprenticeships in classic, rigid French restaurant kitchens. I had neer really read about that environment beforel the strict heirarchy, recipes, and rules fascinated me. 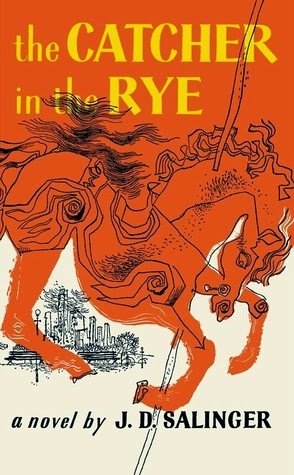 Summary: Privileged and cynical teenager Holden Caulfield has been kicked out of yet another prep school. Rather than wait around for the end of term, he heads out on his own to explore the city, drink a lot, and judge people. What I Thought: Ok, I know this book is supposed to be groundbreaking and a voice of modern teenagers and all, but I have to be honest; I really hated it. To me, the whole thing reads as a whiney, spoiled teenager misbehaving his way around the city because he does not have enough self-discipline or maturity to behave otherwise. Maybe it's because I did not go through a big rebellious stage as a teenager or maybe it is because I have little patience for unjustified self-righteousness. Whatever the reason, I simply could not relate to Caulfield. He drove me crazy. The only moment I remotely appreciated him as a character or human being was when he went to see his little sister. The moments he spoke of her, clearly with such affection, gave glimpses of genuine emotion as opposed to his affected attitude. Summary: Celia and Marco are unwittingly bound together in a mysterious competition while both very young. They each are trained, Celia by her magician father and Marco by a phlegmatic man in a gray suit. As the grow older, each becomes intricately involved with Le Cirque des Rêves. The Circus of Dreams, which begins as the eccentric dream of a wealthy dreamer, becomes the stage for their contest. 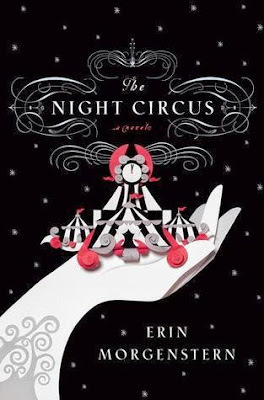 What I Thought Before: Unless you are a long time reader, you likely do not remember my effusive gushing over Erin Morgenstern's debut novel back in 2012. I called it 'magical,' a descriptor I found just as apt this second time around, and recommended it to just about everyone who has asked for a book recommendation since. What I Think Now: I must first and foremost express my gratitude to Amy of Read A Latte. She was so sweet to include a copy of this book in my Secret Santa package at Christmas. It has been sitting on my to-read shelf (the literal one in my house) for months as I pushed through the end of grad school. I knew it would prove itself a delightful reward for program completion. 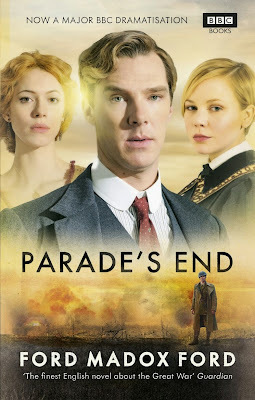 What I Thought: While the book took me months to get through, the BBC miniseries condensed the story delightfully. 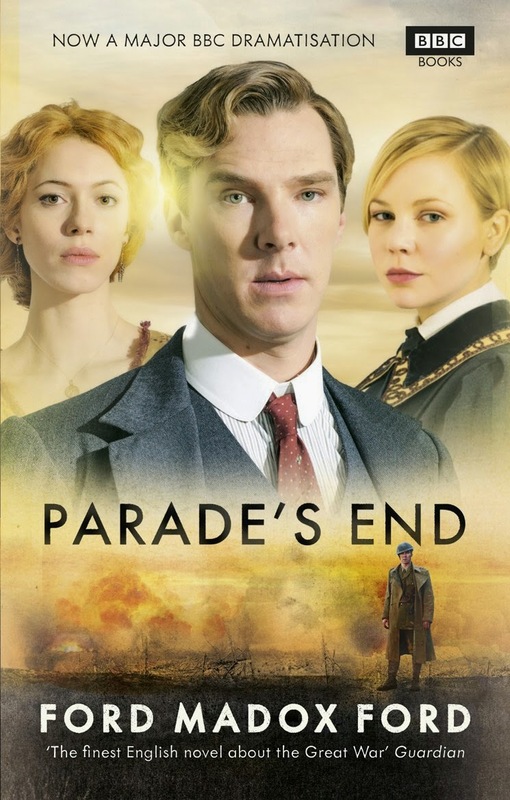 Besides, anything starring Benedict Cumberbatch becomes infinitely more appealing. I still have largely the same feelings about the plot and characters as I did after reading the novel. As often proves true with books of this era and style, the introduction of a visual interpretation helped me some. Overall though, I still found the story drawn out and the characters unlikable. I will say, I enjoyed Valentine so much more on screen. I really like Adelaide Clemens, though I have not seen too much of her work. We just started watching Rectify and she plays my favorite character on that show. Summary: Kendra "Kenny" Lugo is a 17-year old girl living in a quiet, largely poor beach town. Her mother is dead, her father is in jail, and her home life can be kindly described as chaotic. In the midst of everything a normal teen goes through, she finds herself feeling like an outsider at school and questioning her identity. What I Thought: I can say confidently this is not a book I would have picked up unprompted. In general, I shy away from coming-of-age stories or even the more 'general' of general fiction. So how did this book end up in my hands? Grad school. It happened to be my last required reading for my MLA degree. I read it for my Gender in Contemporary Literature course. While not everything read for the class seemed to fit with the topic, this one did its job well. 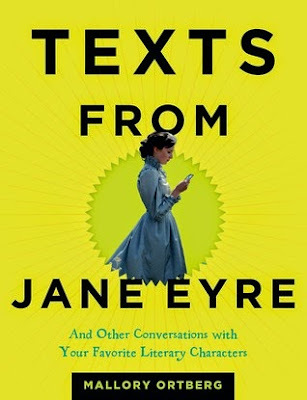 Summary: Characters from literature of all eras (ancient to classic to modern) communicate in imaginative text conversations. What I Thought: This book is exactly what I anticipated, and delightfully so. It plays exactly to my sense of humor. To the chagrin of my husband, I prefer intellectual humor - anything where pre-existing knowledge is required to understand the joke. Ortberg delivers exactly that. If you are unfamiliar with the source material, these witty conversations will make little sense to you. If, however, you have read whatever literature Ortberg happens to be pulling from at that moment, then you may find yourself laughing out loud as I did. May, as always, proved to be a bit of a crazy month at our house. For whatever reason (jobs in higher education), we have chosen May for our big vacation every year we have been married. Somehow, between that and other things, May always ends up being a bit chaotic. This year, we headed to Michigan for the beautiful wedding of Kevin's sister. Then, two weeks later, we spent 5 days in Mexico City with some dear friends who are halfway through a two-year teaching gig down there. It was an amazing trip and so different than anything we had previously done together. Few things get to me in the same way international travel does. There's a whole world out there and I want to see it all - traffic, pollution, bottled drinking water, language barriers, and all. In the midst of all the travel, I started my new jobs (retail and baby-sitting), gotten increasingly involved at our church, and officially accepted a teaching position at the local community college. I'll be teaching Critical Thinking to the impressionable minds of North Carolina community college students come the fall. This simultaneously feels like a small step and a huge one. Adding another teaching position to me resumé means so much to me and I am just thrilled to be taking on the challenge. At the same time, it seems like such a little thing in the face of the professional challenges yet ahead (more jobs needed, looking at doctoral programs, getting my thesis published). Needless to say, May was crazy for us both (Kevin has his own list of things in which he has been involved). We are looking forward to at least a few weeks of more low key life. Although, as we are plunging ever deeper into the house hunt, I doubt this summer will be very quiet after all. All of this has made keeping up with the blog hard. Where once I worked from home and had easy access to writing posts or reading during small breaks, now I actually get up, get dressed, and leave the house most days. It's a big switch. One I am not ungrateful, but to which I am very slowly adjusting. As I said to Kevin, I have not had a traditional job in 9 months...there is a reason I am so very tired at the end of each day. When once I was months ahead in post-writing, now I find myself scrapping things together the night before way more often. I know the quality of writing here has suffered because of that, and it is something I want to change. I have recently reread some of the older posts of which I am most proud and been reminded that, for now, this place is my writing outlet. I want it to be good. So, in the midst of everything, I am going to try and focus on better writing and better reflections, not just churning something out because I read the book. You may not ever notice a difference, but I hope you do.